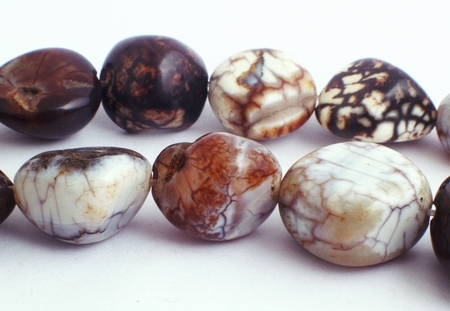 Price is per 15 1/2-inch strand of about 21 large agate nuggets. Each measure around 16mm x 16mm x 11mm. As natural, each will be a different pattern and size.